the struggle to finish the latest features and fixes so 0.13 can be in time, or just reasonable delayed, goes on. There is always last missing icon or tweak that was hiding around the corner. It is still not certain whether we can really deliver next week, but we will certainly try to. Michal almost finished the overall flame related work. Part of it is, that the flame thrower uses the same logic as the flame turret. The whole fire mechanics consist of many factors. The flamethrower arc, flame on the ground, running biters/trees on fire, the smoke, burnt patches on ground, burnt trees etc. But from what I could try, the overall feeling of destruction was worth the trouble. The typical problem is the supply train. In the later game, you have several mining expansions connected by rails. You would like to resupply these by different kind of materials, as the expansion might get under attack from time to time, and different kind of things might get destroyed. This was possible to do in 0.12, but you would have to have 1 chest + smart inserter per item type in every expansion to make it work. With the circuit network extension, there is now much more practical way to implement it. The supply train can come in regular intervals. Its cargo wagon has one filter slot per item, so it will come with all different kind of items. 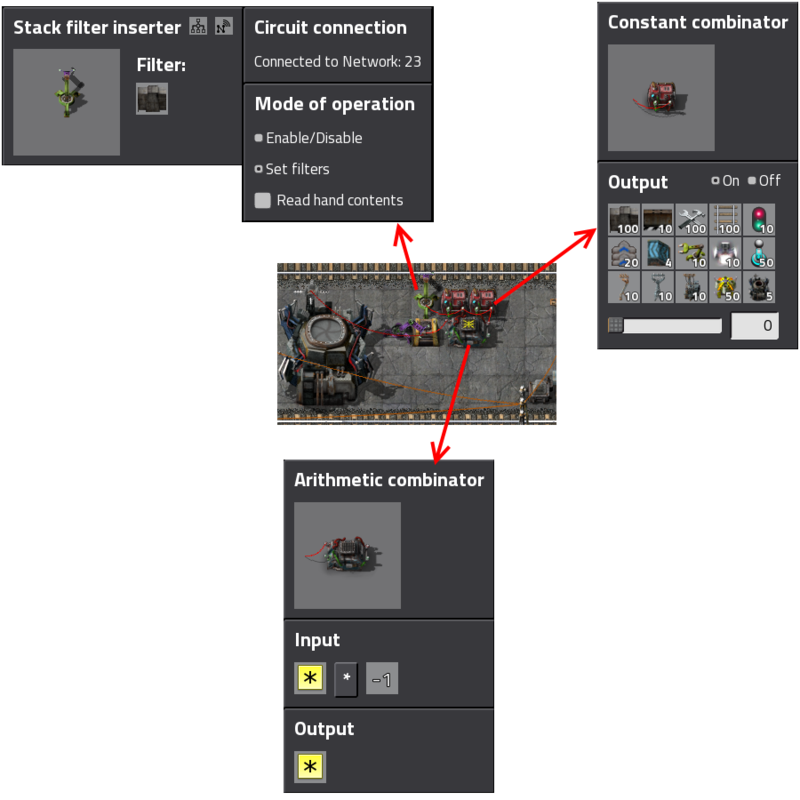 The constant combinator specifies which items should be kept in the expansion, and how much. From these numbers I subtract the items I already have by multiplying them by -1. Then I simply set the filter inserter to the set the filters mode. It filter items by circuit network values greater than 0. So once there are 100 walls in the chest, the filter inserter will not move more. This means I can use this simplistic setup with one chest to supply everything the expansion needs. Another example is the safe rail crossing. Here the player can't go in when the train has the rails reserved. 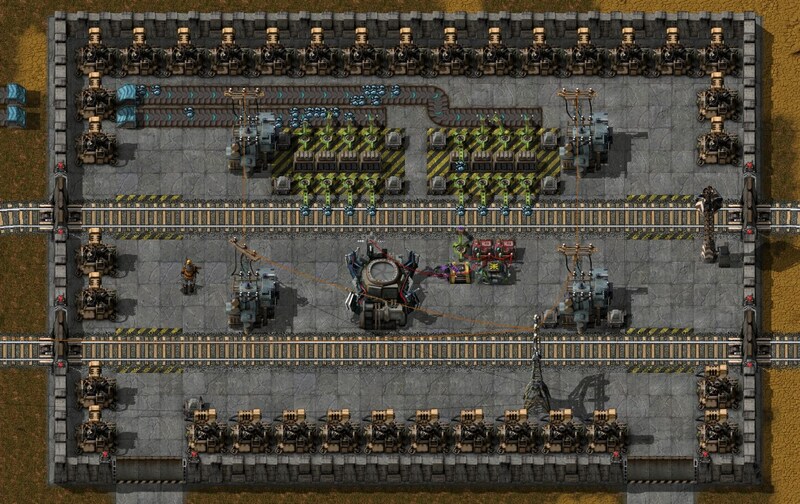 When the player is on the rails, the signals are reserved by the circuit network, and the train has to wait until the player leaves. Also when the player is inside the area, the train gates are closed so he can't get on the tracks outside the crossing.